Car parking near the sailing club is available around New South Head Rd. Please allow extra time to find a parking spot as the area can be busy. To catch trains, buses, ferries and light rail in Sydney and surrounding areas you will need an Opal card or Opal single ticket. 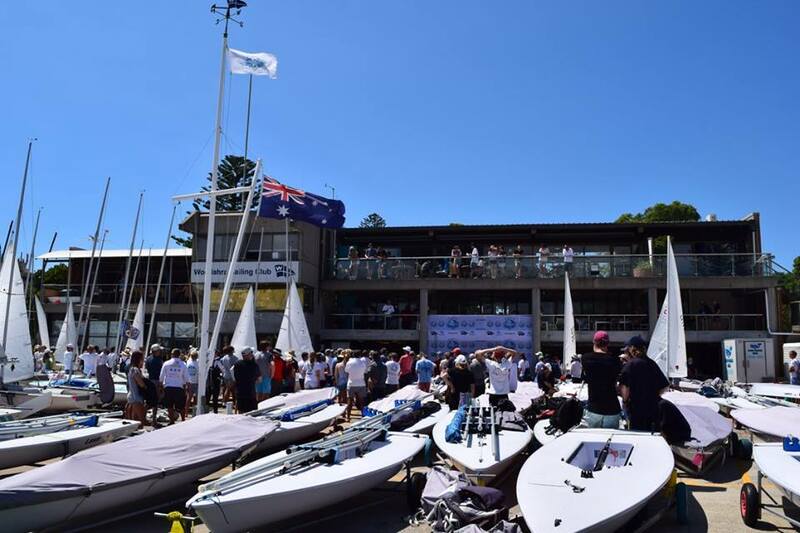 Woollahra Sailing Club is about 6km from Sydney city centre and is accessible by car, train, bus or ferry. Getting around in the city centre is quickest by foot but the train is advisable if you are travelling from downtown (Broadway) to the harbour at Circular Quay. You will see there are plenty of share bicycles around the city, such as OFO, OBikes and ReadyGo. We recommend choosing routes around Sydney with less sloping terrain if travelling with children. One suitable flat ride in Sydney is from Bondi Beach to Rose Bay, where Woollahra Sailing Club is located. It takes less than 15mins to cover the 3km. There are a number of cycle tracks along the side of the city roads; these are marked by the green cyclist road surface. Some dedicated cycle tracks include the west side of the Sydney Harbour Bridge and Centennial Park Grand Parade. On roads, motor vehicles have to give 1m clearance to bicycles but don’t bank on it. Helmets are mandatory and heavy fines apply for using a phone while riding. Uber, Iola and Taxify are common for short trips. We recommend that you download the apps onto your smartphone. For longer periods there are GoGet, CarNext Door and Drivemycar. The quickest way to the sailing club is to utilise the underground tunnel system if you are crossing the city by car. There are many car hire companies to choose from, for example Bayswater and East Coast. If you are parking your car at the sailing club please allow 15mins to find a parking spot. It can be very busy around the area throughout the day. Please note: there are 4hr and 12hr parking limits in the car park by the club and unrestricted in some areas – see the red line on the map insert and read the street signs before parking. The Opal network covers all of Sydney, north to Newcastle, west to the Blue Mountains and south to Wollongong and the Southern Highlands. If you are taking more than one trip on public transport, using an Opal Card is the most convenient and affordable way to pay for your fares. Simply tap on and off as you go. There are various apps that you can use, such as Moovit and Tripview, to show which is the most appropriate public transport to use. Train: Sydney has a large train network which tends to be an easy way to get around and avoid traffic congestion. The sailing club is closest to Edgecliff station on the Eastern Suburbs & Illawarra Line. It is located between Kings Cross station and Bondi Junction station. Buses: The Eastern suburbs buses are extensive and a cheap way to get around if you plan well. However to get to the sailing club most people will catch the train to Edgecliff station and then take the 324 Bus Route or the 325 Bus Route. The 325 travels a similar route to the 324 from the city to Rose bay about every 30 mins but then travels a harbour route via Vaucluse Rd to Watsons Bay. Ferry: Hop aboard a ferry from Circular Quay to explore Sydney's most popular harbourside attractions with ease. The ferry is the fastest mode of transport from Circular Quay in the CBD to Woollahra Sailing Club at Rose Bay on the F4 route. It runs every 30 mins, takes 12 minutes and costs AU$6.